World, we have a winning waffle. You people are outstanding. You really know your waffles. Thank you. I should ask you for advice more often, because together, you’re absolutely unstoppable. I’m pretty sure that, given a day or two, you could solve any problem, and if I may, I would like to suggest that you start with my pet conundrum: how to make potatoes come out of the ground already fried. I think a lot of us would like to know. Yeasted waffles got the most votes, so I had to make at least one batch. Of the yeasted recipes mentioned, Marion Cunningham’s was cited most often, followed by Mark Bittman’s and Cook’s Illustrated’s. I looked them up, and it turns out, they’re all remarkably similar in ingredients and amounts. I probably could have tossed a coin, if coins had three faces, and been happy with whatever recipe I got. 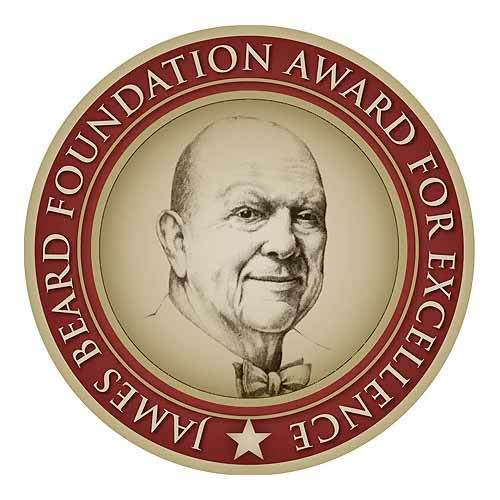 But I chose to try Marion’s, and I chose it for three reasons: 1) again, it was cited most often, 2) it calls for the type of yeast – active dry, as opposed to instant – that I usually keep on hand, and 3) it’s very simple, with no beating of egg whites or other additional steps. Also, and maybe you’ve noticed this, but that recipe has been printed and reprinted everywhere. It’s been featured in books by Rose Levy Beranbaum and Shirley Corriher. It’s also all over the Internet. Which sort of begs the question of why I didn’t make it for my mother on Mother’s Day, but oh well. I’m a slow learner. I also wanted to make a waffle that was not yeasted, to be fair. A number of you mentioned the Joy of Cooking recipe. A number of you also pointed me toward a recipe published in and Food & Wine and Fine Cooking by cookbook author Pam Anderson, who should not be confused with Pamela Anderson, formerly of Baywatch and Tommy Lee, and I make that clarification because I was, myself, briefly confused. And there were many other suggestions as well, including several good-looking family recipes. But a lot of you also mentioned a recipe called Waffles of Insane Greatness (WIG). A name like that is very, very hard to ignore. It’s ballsy. It felt like a direct challenge, and I must admit, my interest was piqued. Also, oddly enough, I noticed that WIG has a lot in common with Pam Anderson’s recipe, which I took as a good sign. Both called for cornstarch, and their ingredient lists are almost identical, differing only – and only slightly – in the amounts of oil, sugar, and vanilla. I decided to go with one of the two, and in the end, I decided on WIG. I wanted to see if it could live up to its title. Last – and I’ll getting to the actual tasting soon, I swear – I wanted to make a waffle with some sort of whole grain flour, because so many of you suggested it. But after much consideration, I decided that it’s a whole other can of worms, and one best opened on another day. To those of you who suggested recipes involving whole wheat flour, spelt flour, oat flour, buckwheat flour, and any other flour, thank you. I’ll get there soon! As soon as I recover from yesterday morning. We made a lot of waffles. A meeting time of 10:00 am was set, and there were to be five of us eating – including two cooks from Delancey, Ryan and Brandi, whose palates I knew I could trust. I did not take this lightly. Crust and crumb were poked and prodded, held to the light, thoroughly examined. The smell of yeast and coffee and hot butter hovered over the table, as heavy and palpable as steam. Much syrup was consumed. The carnage began to pile up. It was ugly. It was a great morning. I ate five waffles, and I lived to see the afternoon. I also came away with not one keeper-quality recipe, but two. I’m not saying that to be politic. I mean it. Both recipes beat every waffle I have ever had. (Not counting gaufres de Liège; those are totally different.) Who could ask for more? I love you, blog. I love you, comments function. I love you, people. Here’s the thing. For me, the Marion Cunningham waffle, the yeasted one, is capital-W Winner. It’s incredibly light and crisp, but the inner crumb is soft, tender, almost custardy. I can’t say enough about that texture. I wanted to eat waffle after waffle after waffle, just for the way it felt between my teeth. It isn’t particularly sweet, which I like very much, and at first appraisal, it can even seem a little salty. But as soon as you pour on some maple syrup, it makes sense: the salt and the sweetness make each other hum. That complexity, plus the complexity brought by the yeast, plus the good hit of butter in the batter, combine to make the kind of flavor that lasts, that hangs around long after the waffle itself is gone. Plus, and this is a big plus, because the yeasted batter requires an overnight rest, you do 90% of the work – which is very easy work – the night before. The morning of, you have almost nothing to do, except make some coffee and turn on the radio and feel pleased that you have almost nothing to do. It’s heaven. It’s the top. I wouldn’t change a thing. That said, if I didn’t plan ahead, and if I woke up one morning desperately needing a waffle, I would make WIG. And I would be similarly elated. In fact, sitting around the table yesterday, we had a hard time declaring a winner, and at first, it looked as though WIG might be it. When you bite in, it’s absolutely remarkable, with a craggy, shatteringly crisp crust. I’ve never seen or eaten a waffle with so crisp an outer crust. I think the cornstarch is to be thanked for that. The waffle tastes wonderful, too: nicely toasty and caramelized, complex, sweet but not too sweet. But to me, the flavor didn’t persist the way that the flavor of the yeasted waffle did, and it didn’t have the same depth, and I don’t know. It sort of petered out halfway through. It was delicious, and had I never eaten a yeasted waffle, I would drive around all week with the windows down and a megaphone to my mouth, telling the city to make these waffles. But because I have now eaten the Marion Cunningham yeasted waffle, I don’t feel quite so moved. It’s all relative. If only I had heard of WIG earlier! Think of what might have been. Or don’t, and instead, go make some already. If you’ve read this far, you deserve a waffle. This recipe uses dry yeast, which is often sold as “active dry” yeast. It’s different from instant yeast (often sold as “rapid rise”), so be careful not to confuse the two, even though the packaging often looks similar. Most waffle recipes work in any kind of waffle maker, but I get the sense that this one is intended for use on a standard (not Belgian) waffle maker. Mine is Belgian-style, and the batter was a bit too thin to really fill it properly. It wasn’t a biggie – they still taste great, and they’re pretty on one side, at least – but just, you know, FYI. The original version of this recipe calls for 1 cup milk or buttermilk, but I split the difference and use ½ cup of each. The texture of the batter was lovely, and I liked the slight tangy quality of the waffles, so I’d recommend that you try the same course of action. Also, this waffle works in any kind of waffle maker. In a medium bowl, combine the flour, cornstarch, baking powder, baking soda, salt, and sugar. Whisk well. Add the milk, buttermilk, vegetable oil, egg, and vanilla extract. Whisk to blend well, so that few (if any) lumps remain. Set aside to rest for 30 minutes. Preheat a waffle iron. Follow your waffle maker’s instruction manual for this, but my guess is that you’ll want to heat it on whatever setting is approximately medium-high. My waffle maker has a heat dial that runs from 1 to 7, and I turned it to 5. There’s no need to grease the waffle maker. Pour an appropriate amount of batter into your hot waffle maker: this amount will vary from machine to machine, and you should plan to use your first waffle as a test specimen. Cook until golden and crisp. Thank you so much for the testing! I will definitely put the buttermilk recipe in my to try list. I have some very serious waffle eaters at my house. Well geez… just when I thought I'd perfected my waffle recipe. Since I will NEVER do a night-before version, yummy as it sounds, I'll try the second gluten-free and see how it differs from my current version. Glad you found two winners! oh thank you for doing what I should have done years ago. I just couldn't bear to stray from Bittman's yeasted waffle to try another! But I will try these, both of these, because I trust you so. and oh how I love waffles. Yum! Thanks for the suggestions. We just got a waffle maker and I can't wait to try these. I LOVE this post and as soon as I get off my dairy, meat, sugar cleanse, I'll reverse the benefits by quickly downing a couple of these waffles. Would also love the whole wheat/multigrain version as soon as you get around to it. Always looking for a healthier way to enjoy syrup:) Great job. Oh and I want to buy a waffle maker. Any thoughts on the best? I can't tell you how perfect the timing is with this…I've just implemented a new Sunday night tradition for my husband and I and our 2 boys. Family movie and waffle night! I've tried a different waffle recipe each time (we're going on week 4) and can't wait to try both of these!!! Oh, goodness. This could be very dangerous. We've already been in super waffle mode around our house lately and made them not once but three times last week. We've been liking the basic waffles from Mark Bittman but I am more than willing to try something called Waffles of Greatness. I make breakfast so rarely, I don't have much chance to experiment. So thank-you for doing the testing so I can FINALLY make a good waffle. Can't wait to try these two recipes. My waffle maker is probably my favorite wedding gift. Thank you for your waffle testing and now I'm looking forward to brunch this weekend! Molly, You can make the raised waffles one-hundred percent whole grain—2/3 cup cornmeal and 1 1/3 cups whole wheat pastry flour. They are still light-as-air and with a deep lingering flavor to boot. So for the next time… (though after five waffles I understand if it might be quite awhile before you work up an appetite for more). Oh man, brings new meaning to the phrase “WIG Out!” That was unnecessarily cheesy. The waffles look delicious and cheese-free. Thanks for sharing! After reading this post I said to my hubby “We are having waffles for breakfast on Sunday” however I just realized it is Monday and I don't think I can wait that long for these waffles…I'm going to have to make one of these this week, then maybe I'll make the other one on sunday!! I am always trying a new waffle recipe every time I make them…trying to find a keeper. Man, my kingdom for a waffle maker right this moment! And I'm glad you gave a shout out to Pam Anderson. She is weirdly underappreciated it seems sometimes. Guess the whole Cook's Illustrated fiasco didn't help things, huh. Oh, Molly, I can always count on you for a smile :). Marion's recipe is a winner, for sure. So you're saying I should make room in my small-and-already-nearly-full-to-bursting-kitchen for a waffle iron, aren't you. I was barely through reading 'almost custardy' and I was craving waffles. Did I mention I just finished dinner? And still wanted waffles? Spoonfed author Kim Severson mentions the Cunningham recipe as a favorite too. So glad you loved the yeasted waffle as much as we do. And darned if I didn't laugh over the WIG, which I'd fallen for HARD many years ago, then promptly lost track of. Not that I'd willingly break ranks with those crazy-good raised beauties, but if I, say, happened to fall asleep over Goodnight Moon, well, it's nice to have a fine contender in my back pocket, once again. You might want to try the Cook's Illustrated recipe with your Belgian waffle maker–the batter is thicker, since it has less liquid. I also like to add a bit of freshly grated nutmeg to the batter. I don't think it would be hard to convert to use active dry yeast–I'd use a full package of active dry (about 2 1/4 tsp), and mix the yeast with the milk/melted butter mixture once it's cool enough. What a wonderful post! Maybe it's time for me to move beyond the recipe that came with the waffle maker! WOW – first time visiting your blog and I love it. I cannot wait to try these waffles…if only I had a waffle maker. I recently quit my job to pursue my lifelong dream of going to culinary school (Check out my adventures at http://www.asecondcourse.com) so right now funds and apt space is limited! But with a birthday coming up, a waffle maker might be on the list! What type of gluten free flour would you recommend when making waffles so all my family members can enjoy? I'm so glad you were willing to put in the legwork to find a winner. Since I have a giant jar of yeast in my fridge I guess I will be trying the yeast based waffles just as soon as I try the chocolate waffles I promised to make a friend. Waffles are SO perfect for Sunday morning. However, lately I'm having a hard time parting from that oatmeal/blueberry pancake recipe you posted a while ago. THOSE were terrific. After reading this I tried the Joy of Cooking recipe this weekend. Good, but not earth shattering. Will have to try these – am still looking for the holy grail myself & have never quite found it! I'm not one of those readers who gave you advice but it#s a great idea to ask your readers when things don't work out. Thanks so much for these – I can't wait to try them. I'll definitely be trying these. We love waffles at our house! just wanna say – i LOVE your plates! LOVE them. This sounds like my sort of experiment! I love the outcome of the two different waffles. I need to invest in a waffle pan before I attempt either of these! Oh man, now I have one of those craving that just isn't gonna go away 'til I eat a ton of waffles. Look out weekend. Next year, I am going to go teach English in France! I wanted to tell you, Molly, because I asked you about your experience about a year ago! I always get a flutery feeling in my stomach when you talk about it. Now I will have to start apartment shopping on craigslist in toulouse…joy! i can't wait to try both of these recipes! we make waffles all the time, and i haven't yet found the master recipe. So far, the browned butter waffles from The Craft of Baking have had the right taste, but maybe not the right texture. 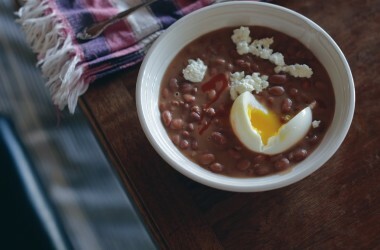 Will be making the second recipe this weekend! Also on the list, the newest one from Cooks Illustrated, with seltzer water instead of egg whites. I can now sleep at night, I–too–have been looking for a go-to waffle recipe and have not had the success I hoped for thus far. Also, I have WAY too much buttermilk in my freezer that has been causing more anxiety than is socially acceptable (such is the by-product of homemade butter making, I suppose: which I imagine will be heavenly with those waffles!). Anyways, thanks for your research, Molly! One morning you wake up and you realize you didn't know as much about waffles as you thought you did. I envy the waffle taste test–it sounds like heaven. Sweetened Condensed Milk instead of maple syrup. Forgive me: but in not picking an overall winner, aren't you waffling? Mmmmmm….now I'm definitely making waffles this saturday. Also, we're visiting Seattle at the end of June and can't wait to visit Delancey–I've already emailed mapquest and the website to my husband as a MUST GO! Molly, glad you found a winning waffle. I've had epic fails with MC's yeasted waffles. The outside crisps beautifully but the inside does not seem to set. You mention that the interior is almost custardy. So maybe I was closer to getting it right and it was my expectations that were wrong. Update – Just made the second recipe and I can attest that it is so great! crispy with great flavor. My previous waffles have suffered from soggy waffle syndrome. I wonder why these are so crisp? They also had nice lift in the iron. yay! I gotta say … make your waffles twice, once where you separate the egg whites from yolks and once where you beat them together … and you'll kick yourself for not adding that one little tiny extra step. I had to leave my waffle iron back in the States. Sob!! Reading this post is like pouring salt in a wound! Fantastic! Thank you for going a bit astray and testing out different recipes! I adore waffles, I will have to try these both! I am going home and hauling out my waffle maker tonight. The old school Betty Crocker recipe (not the version online) has been delighting us for the past six months, but WIG… OMG it's on. Thank you for brightening my very raining, previously waffle-less Tuesday. I'm glad you found not one, but two wonderful recipes! I can't wait to try both of them. I'm a waffle fanatic. I know not to look to Pamela Anderson of Bay Watch for my morning waffle, but what of Marion Cunningham? I'm assuming this yeasted waffle recipe was not the one “Mrs. C” served to Richie, Joanie, Howard and the Fonz? Thank you for the research – I've been wanting to find the perfect waffle recipe (I usually use an adapted version of the Joy of Cooking's buttermilk waffles), but I've been focusing on pancakes of late. I've never actually tried yeasted waffles before, so I think I may break out this recipe in the next week or so. Because really, waffles should be more than just a vehicle for maple syrup. Just when I thought I’d found my go-to waffle recipe, you have absolutely intrigued me to try two more. We’ve been doing Waffle Saturday one day a month, but it looks like we’re going to be expanding that to at least two for May. I am so wishing I was not at work now so I could be making some of these waffles. Maybe I'll have to do breakfast for dinner tonight! Just curious what kind of waffle iron you used and if you would recommend it? We've been looking to buy one and this post will probably push us to go ahead and make that purchase sooner rather than later! My boyfriend and I have had an ongoing debate of waffles vs pancakes, and with these recipes, I have to say I won him over. Thanks for the recipes! PS, love the book, can't put it down! I think you should maybe still consider doing the megaphone bit. Just for the enjoyment of passersby. And probably some of your own, too. O Molly, you've done it again. But this is big-so big! The Breakfast Book is a cookbook I have been trying to remember since I was a small girl working her first job at the library. I was 9. 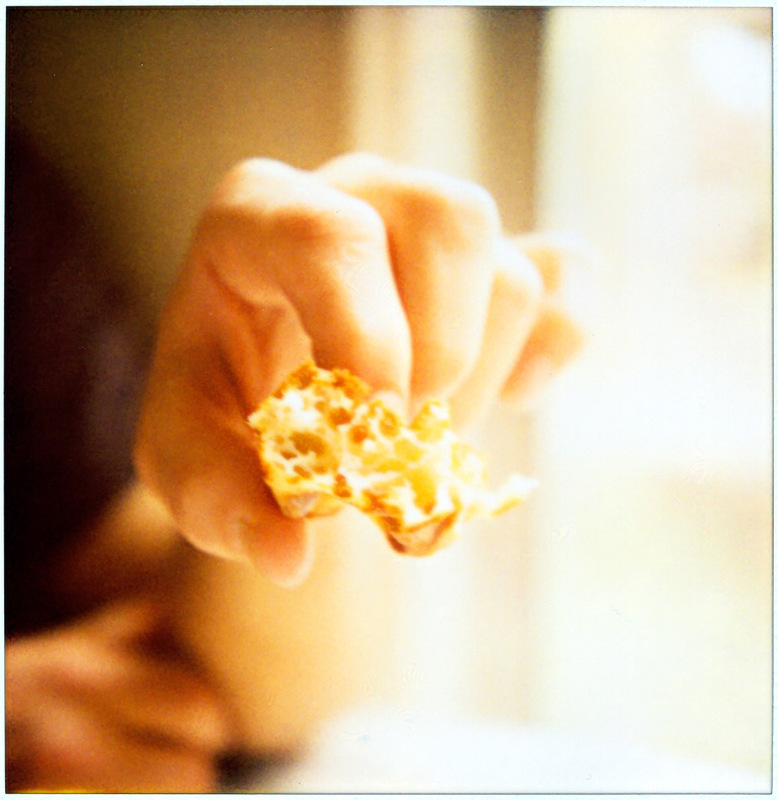 I could remember the cover and that it was about breakfast, but beyond that, I knew nothing. Well, only that I loved it and checked it out out in 4th grade and read it and re-read it like a novel. 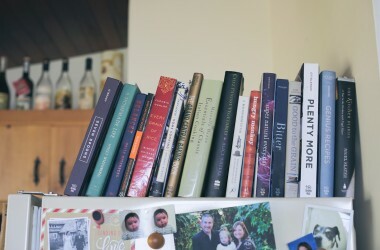 It was my first foray into cookbooks and I remember it very fondly. So thank you. I am ordering a copy today. And I am going to make waffles. And a whole slew of other delightful breakfast treats. Except for Melba toast. I tried that one in 4th grade and haven't tried it since. I was not impressed. Maybe that should be your next challenge? Can I please just say that I love that other people exist who also perseverate on things like finding the perfect waffle? God bless good food! I will be making waffles with fresh berries tonight for dinner. A word on the photos: they're beautiful! Is that a Polaroid SX70? I use mine all the time and the soft orangey glow looks just like that. Awesome. I am so thrilled that you love the MC yeasted waffle. If bees really did have knees, I would think that was it. We did a waffle tasting on Sunday morning too. Kim Severson says in her book Spoon Fed that when making those same yeasted waffles, you must use a regular waffle iron, not a Belgian one. I even emailed her to ask about this, and she said it was a texture thing. Who knew? All these years I have been using a Belgian waffle iron. So I got a regular waffle iron, and we did the tasting of yeasted waffles between a regular waffle iron and a Belgian waffle iron. And the ones made in the Belgian waffle iron won. Hands down. There is a restaurant that has a Swiss chef near my office that serves delicious creamed chicken in a vol-au-vont. I'm thinking you don't love creamed things – but I must say the thought of a really good creamed chicken served on one of those yeasted waffles sounds scrumptious to me. And let's not even THINK about ice cream and strawberries and hot fudge sauce and, and, and…….. Sounds yummy but I'm sticking with Berg's French Toast!!! A two-for-one! I've been wanting a raised waffle recipe…so thanks! 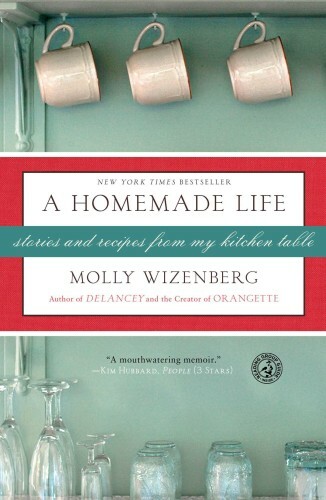 Molly, thanks for testing these recipes for us! These will come in handy for the upcoming berry season, although I won't wait until then. Enjoyed your presentation at the Ballard library last week. My friend and I drove down from Mount Vernon to see you. And thanks again for the rhubarb recipe. I used it again this week! The “Waffle of Insane Greatness”? It's the chemistry between the buttermilk, the soda and the baking powder that gives you the loft. The sugar, caramelizing,gets you the color. I so enjoy your blog. As soon as I get my hands on a waffle maker, i'm gonna try these recipes. I discovered Orangette just recently . . .. after I read your book. I was browsing thru the local Barnes & Noble and saw the cover, picked it up, read a few pages and was hooked. I loved “A Homemade Life” and have even tired the yogurt cake recipe so far . . .more to try soon. I saw that your were doing a book tour this year, and was bummed to discover you had been in LA just a few weeks before I read your book. Sigh. Well, now I'm a regular Orangette reader. We made the quick version this evening and it was literally the best waffle I've ever had outside of Belgium so I can't WAIT to try the other. Thanks! I now have this crazy urge to go buy a waffle maker! Thanks for taking all of the work out of finding the best waffle recipes. When I do get that waffle maker, I know where to turn! Heart your book and blog! I think I might have to have a waffle party.But I don't know that anything could be better than your amazing overnight oatmeal pancake batter made into waffles. I am planning to make them for my son and daughter in law this weekend – they can enjoy while I hold the new baby! I'm a bit late to the waffle party, but I'd like to throw in a recommendation for Liege waffles. We've got a little shop down in Eugene that specializes in them, and they're great. (I haven't found a recipe yet, but it's coming). I especially like them stuffed with either chocolate chips and strawberries (for dessert) or blueberries and goat cheese (for a meal). Erich (or Molly!) – can I ask about the Polaroid? I thought that Polaroid didn't make film anymore – is there someone else making a replacement film? I can pick up a camera off of craigslist, but wasn't sure about whether I would be able to get film or not. Any tips or suggestions? 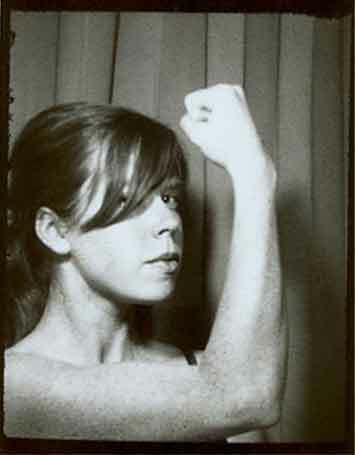 Thanks for sharing your triumph with us, Molly. How are you going to make it up to your mom? Thank you! I just found a “fabulous” waffle to try (without whipping of egg whites which is much trouble and not worth it). Anyway, I'll have to compare recipes. And, I just started reading your book (from the library), and now I have to buy it. I love it. Thank you. I adore the stories, and the French Yogurt Cake recipe was devoured (to high praise) at our casual weekend dinner party. It is now one of my favorite cakes. The chocolate cupcakes with bittersweet “cap” are next… looking forward to them. What a delicious looking waffle. I love them with crispy bacon and buckets full of maple syrup. I loved this post because I LOVE waffles! I can't wait to try the yeast recipe out this week-end. You seem pretty dedicated to the texture that the yeast waffle provides, but I highly encourage you to think about frying up some bacon and putting bits of it into the waffle to make a bacon waffle. This was a classic breakfast treat growing up. You know what they say, bacon makes everything better! I never knew that there was such a thing as a yeasted waffle. We'll be trying out that recipe this weekend!! Sounds delicious! Fantastic redemption post! I am terrible at eggs benedict but our chef has a pesto EB recipe that I need to try to regain my confidence. Are you attending the Food Bloggers Conference in August? The Jordan chef and I are thinking about going: http://blog.jordanwinery.com/go/from-the-kitchen/. yum…I have been telling my husband we need a waffle maker and i think this just pushed me over the edge. i'm gonna buy one this weekend! Thanks for reporting back on your waffle recipe findings 🙂 The Joy of Cooking recipe is standard in our house but now I just have to try Marion's recipe (gave Cook's Illustrated yeasted waffle a try but it was no match to JoC's) What do you think of adding vanilla to Marion's recipe – would it conflict with the yeasty flavor? Love your blog and recipes, but must ask – have you considered a “Print” button to strip out formatting and pix for ease of printing? I currently copy/paste your stuff into word and print fromt there, but it's tedious. Hello, all! So glad to see you here. For those who wanted waffle maker recommendations: we have a VillaWare Belgian waffle maker, and I love it. We registered for it when we got married, and it wasn't cheap, but it's terrific. Worth the money, I would say. I can't seem to find the exact model for sale online right now – maybe it's been discontinued – but it's basically just like this one, only it's square, not round. It makes four square waffles. asecondcourse, I'm not well versed in gluten-free flours, but I'll bet Shauna of Gluten-Free Girl would have good advice for you. Paul Michael Smith, har har har! Rachel, I think the second recipe gets its crispness, at least in part, from the cornstarch. I've heard of using cornstarch in cookies (especially shortbread) to make them more tender and delicate and give them a light, melting crunch, and I'm inclined to think that the cornstarch helps with that here, too. Erich and Jen/YVR, I used a Polaroid SX-70 and 600 film for these shots. I only have six packs of 600 film left, and I'm so sad about it! Jen, you're right: Polaroid is no longer making film, but a group called The Impossible Project is currently working on bringing out a new instant film to replace it. You can still find the last packs of Polaroid film online, but it's expired now, and it's expensive. I recently bought some Spectra and 690 films from Unique Photo, but their 600 film is crazy-expensive. Lisa, I'm speaking at IFBC in August. Hope to see you there! Robyn, I've heard of people adding vanilla to the Marion Cunningham recipe, and I think it would be delicious. Martina, as far as I know, Blogger (the service that hosts my blog) does not offer a print function. When I want to print from my blog or other Blogger sites, I do the same thing that you do: copy and paste it into Word. It is tedious, and I apologize! Maybe someone reading this will know of a way to put a print function into a Blogger site? If you're ever in Oakland California you should head to the Brown Sugar Kitchen. They have amazing yeasted waffles and great fried chicken. I've never had a bad meal there. You have inspired me to try a waffles. I'm usually a French Toast kind of girl when I cook one of those “special occasion” breakfasts (Thanksgiving, Christmas, overnight guests, etc.) but I must try these. I think I've been a bit afraid of the waffle iron hiding in the back of my cabinet all these years. Hope it still works! I'm a first time orangette-r and i have to say. You have captured me with all this waffle talk. Love your blog! This post has officially been bookmarked for when we purchase/make space in our tiny apartment for a waffle iron. Thanks for sharing. Your description of Cunningham's yeasted waffle is mouth-watering! Thank you for your thorough waffle testing! I have been staying away from waffles for anything but a long, open morning due to the fact that the only recipe we loved required beating of egg whites, melting of butter and general use-every-kitchen-utensil-you-own sorts of mayhem. I will be preparing the ORWIG(orangette revised WIG) tomorrow and we'll get down to business with MC on the weekend. Thanks again for thoughtful review and heavy duty consumption! This is excellent! I'm excited – I have never tried a yeasted waffle before. I'll have to give it a go. Not that two wonderful well-tested recipes isn't enough – but you don't happen to have any tips or recipes for a whole grain waffle, do you? Thanks, Molly. I was just looking at a Spectra camera on craigslist but hadn't read much about them – do you use yours much? It seems like the Spectra film isn't as prohibitively expensive as the 600 (you weren't kidding – talk about an arm and a leg! ), and easier to come by. I'm looking forward to joining the Polaroid world (tho it would seem I'm a couple years late to the game…). Anyhow, you had a terrific journey to good waffles. Thanks for sharing it with us. Damn it! I'm gonna have to dig out my waffle maker. These look to good. I've made Marion's recipe for years, but since it seemed too thin, I have always used more flour, a lot more flour, and a little less liquid to thicken the batter up. They seemed great to me. Is the batter for the raised waffles really supposed to be so thin? Aagh, this was torture. I have been up since 5am, love waffles, but don't have a waffle maker! Maybe I'll just go chug some maple syrup. My blog is hosted by blogger too, and I've found a way to add a “print friendly” button to the bottom of each post. There are several sites that provide free html code for you to cut and paste into your blog's code. The site I used was http://www.printfriendly.com. I chose this one in particular because the button was large, and it allows the readers to select specifics about what they want to print: whole post, just recipe, with or without photos… There are definitely other sites that offer printing for the “recipe only”–if that's what you are looking for. I hope this helps! You can look at it on my blog first, if you want. These recipes make me wish I'd put a waffle iron on my Christmas list. Next year! This is inspiring. I've never eaten a yeasted waffle but now I really want to. I must echo your other readers though, to say that waffles made with whole grains are fabulous. There is so much flavour there! You really do need to try it. Thanks for your rigorous waffle testing – I'm sure all of us will benefit. I have been plotting the soonest time in which I can make a yeasted waffle. Your description is dreamy! An annoying difference (in my opinion) between Seattle and Portland is Seattle's serious lack of waffles…. Portland has a waffle window, a waffle cart – waffles coming out of their ears! Where is ours? Anyway, THANK YOU for doing the legwork – I am often desiring a waffle and have no window but my own to walk up to. 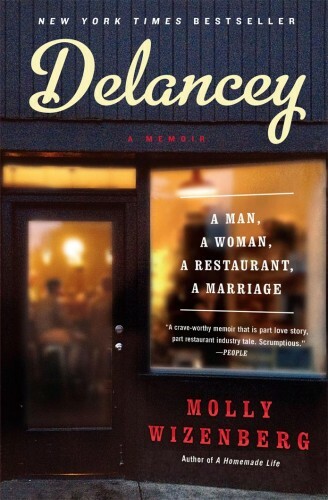 Molly, you seriously had me at …”When you bite in, it’s absolutely remarkable, with a craggy, shatteringly crisp crust. I’ve never seen or eaten a waffle with so crisp an outer crust.” Must try immmediately…no gooey belgian style at my house. I need the crunch baby. Thank you! And do let us know about getting the potatoes harvested already fried…major life improvements. i prefer this method to pasting into word since it keeps the URL where i got the recipe. I have long been looking for the perfect waffle recipe; hopefully this will get me much closer to my goal. Thanks for the tip, re: http://www.printfriendly.com, Sommer! I'm going to play around with it and see if I can make it work. When I looked at a sample printer-friendly version of this post, it was a little wonky – it broke up some of the sentences and changed the paragraph structure, so it was hard to read – but I'm hoping that I can make it work. Also, were you able to arrange it so that it would only print the recipe, and not the blog post, too? I couldn't figure out how to do that. Thank you! And Cindy, thanks for your printing tip! Much appreciated. This is why I love the blog world! I read your granola recipe in this months Bon Appetit magazine and thought I'd visit. Will be trying the granola recipe and both these waffle recipes indefinitely. Thanks for doing all the research. Ever since you posted this, I've been obsessed with making these–and I'm a savory breakfast person. Last night I finally had it together to make the Marion Cunningham waffle because making most of it the night before really appealed to me. We just finished breakfast and OMG. You're so right, that texture is positively addicting. We barely wanted any syrup or jam on them and my husband was coming up with some savory uses. These are totally grown up waffles and amazing. Thank you for opening our eyes. I can't wait to spread the word myself. 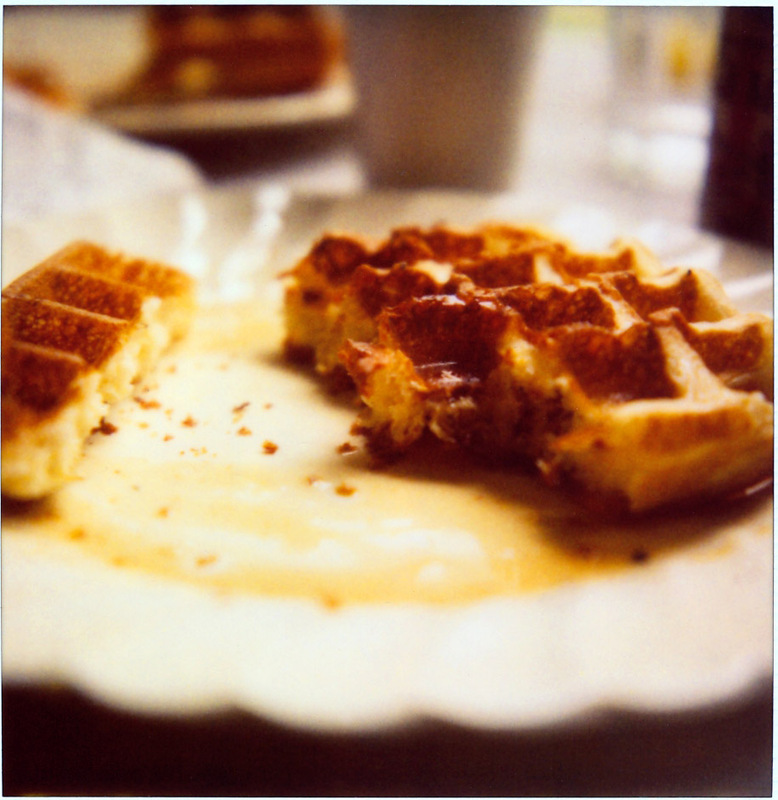 I just tried Marion Cunningham's waffles – thanks so much for the research! My family loved them! I have used my waffle maker more in the last month that I had since I received it 14 years ago:) Thanks! If you choose to accept this mission, I will be forever indebted to you, your children and your children's children: PLEASE work your magic and provide us with a fantastic recipe for those life-changing gaufres de Liège you casually mentioned in you post! My life just isn't complete without them and tickets to Belgium aren't cheap! I can't wait to try these waffle recipes! By any chance have you considered doing a similar search for a pancake recipe? I can't find one that I love consistently. On a different note, what type of maple syrup do you use on an everyday basis? i just made the non-yeast-kind and love them!! next time i will reduce the salt though to a pinch b/c i am not used to this (american??) saltyness for breakfast. and tomorrow´s another holiday around here so i will go for the yeast waffles – yay!! 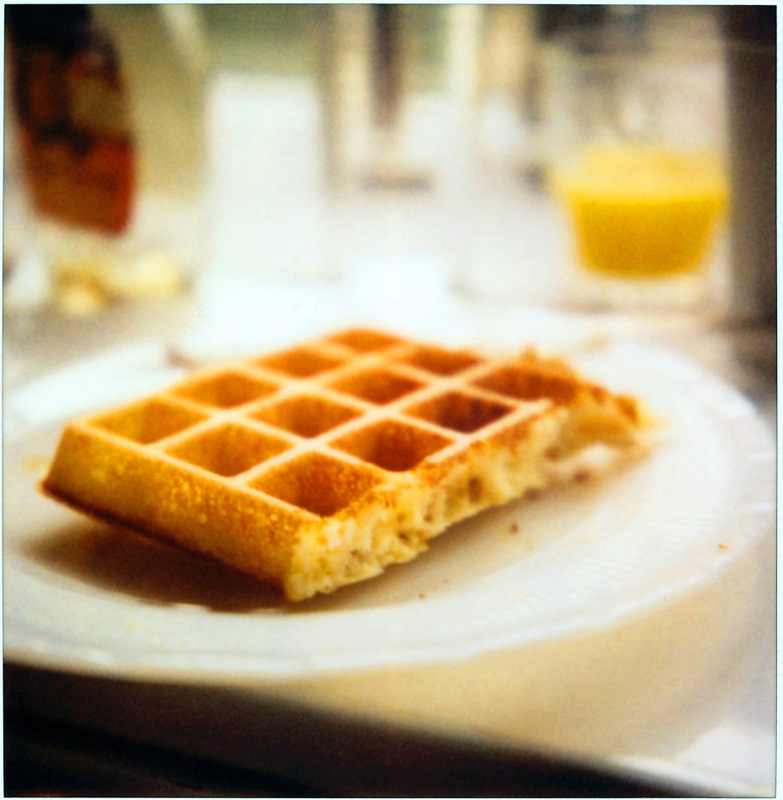 Madeleine, my friend Olaiya used to live in Brussels, and she tells me that she has a great recipe for Liege waffles. I'll see what I can do to get it from her! Gabrielle, my favorite pancakes are the buckwheat ones in my book. Try 'em! They're a riff on a Cook's Illustrated technique. If you want regular (non-buckwheat) pancakes, you can use all-purpose flour, rather than the mixture of buckwheat and all-purpose flours that I call for. And as for maple syrup, I'm not faithful to any one brand, but I do tend to buy either Grade A medium amber or Grade A dark amber. Great post and great project. Thanks for doing the info gathering and testing. We had the yeasted waffles for breakfast this morning and they were perfect. Absolutely perfect. My daughter kept saying: crunchy and custardy….just like your comments. I thought both Bittman's and Cunningham's recipes were too fussy without good cause. So, I used the ingredients from Bittmans (no heating…just mixing everything together, except eggs, sitting overnight). And then added the eggs per Cunningham (no separating, no whipping the whites, adding soda as extra leavening). 1 minute to mix at night, one minute to add add eggs in morning. Easy peasy. Without the extra water from Cunningham's recipe, the batter is not too thin. Anyone who makes No Knead Bread will know from experience that the dry yeast does NOT need to be mixed with warm ingredients. Overnight sitting more than gets the ingredients to the right temp and gets the yeast working. Also, instant/rapid rise yeast is totally interchangeable with active dry yeast in this recipe. I've always thought waffles were leaden until today. Thanks for the inspiration! Molly, I wait with baited breath (and growling stomach)! Oh Joy! I just borrowed my sister's waffle maker because she and her husband have been making a spicy curry waffle and serve it with a garlicky dal for dinners. Now, I will try these two recipes also. Sigh, I imagine making batches of waffle and hoarding them in the freezer for the sad day when she takes the waffle maker back. I just ate the raised waffles for breakfast, and they were amazing! I used 1% milk instead of whole milk, and it worked fine. Best. Waffles. Ever. Totally worth the 10 minutes it takes the night before to prepare them! Not to cause any more waffle confusion, but do you have a good recipe for gaufres de Liège. I've wanted to make them since last summer. We visited some family in Belgium. We had them constantly. I didn't appreciate them at all and know the language barrier is preventing me from getting a recipe. Thanks for any help. Delicious! My 11 month old, 3 year old and husband all ate these on a random Tuesday morning..they are fast, easy and absolutely delicious!!! What perfect timing. I just got a waffle iron for my birthday and have been agonizing over the bazillions of waffle recipes out there. My first attempt was a bit rubbery, but not at all inedible. I will try the WIG, because it's pretty much guaranteed that I will never plan waffles ahead of time. Thank you! These waffles look wonderful. Very yummy pictures. I have found a quick and easy way to make waffles and pancakes. I use my blender. My jar is nearly 3 quarts so it makes plenty of batter for me to pour into my waffle iron or pancake skillet. Clean up is easy because there is not all the bowls and spoons and etc…to wash. Here is another one to try… sorry I am a bit late to the party. Multi grain waffles and lots of parmesan cheese in there… savory and yummy. first time caller, long-time listener … i made the Marion waffles for my hub's birthday this AM and can't quite believe how amazing those waffles are. i loved making the batter the night before and having b'fast ready in a matter of minutes this AM. my taste buds are still singing from the delicious-ness of the crisp/crunch/yummy waffles. thank you for your taste tests, your recipes and the detail you provide (e.g. dry active vs. rapid rise … finding it in the market, let alone knowing the difference makes me feel so much more confident about cooking!). 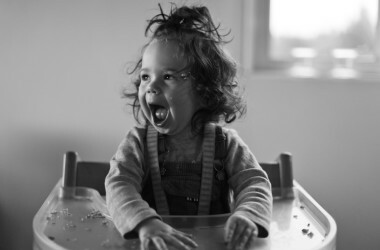 you've just changed the way i feel about waffles (as if I didn't love them enough before this AM). THANK YOU! I scheduled my weekend around trying those Morning Of Waffles, they were to Die for! So easy and came out perfectly, my fiance and I were thrilled! Thank you so much! Hi Molly – I tried the yeasted waffles last night/this morning and they were amazing! I used instant/rapid rise yeast, put the ingredients in at room temp, made them at midnight, halved the recipe, didn't have whole milk so I used part water and part half and half – and they turned out beautifully – loved the crunchy outside, light interior, and wonderful yeasty flavor! My whole house smelled like freshly baked bread all morning long. ( : Thanks! I was excited to try the morning of waffles but I've got to say, this isn't the waffle of my dreams. It does get crispy on the outside but there is mostly air on the inside. So the waffle is really light and I suppose a prefer a waffle with a little more oomph. Made mine in a square waffle iron, about 10″x10″ that has 4 5×5 waffles and the recipe yielded 2 full batches, or 8 little squares. Made the WIG recipe this morning and loved them! Slightly crisp, delicate texture, and my dtr said she liked how you could taste the richness of the egg. Didn't have buttermilk, so substituted milk w/ splash of vinegar. We love waffles! For several days before Mother's Day I had been making waffle after waffle in my old two-waffle Belgian iron and popping them in the freezer to sell at a bake sale for my son's scout troop. People did not expect waffles at a bake sale but they were a hit, made $50 for the troop, and I have heard from several families who had them for Mother's Day breakfast and loved them. Can't wait to try yeasted recipe. Made the make-in-morning waffles this morning for my husband, sister, and brother in law to fuel them up for moving our furniture around to get ready for our upcoming baby. They were delicious and everyone was a fan. They especially liked the vanilla flavor. Thanks for posting these recipes. I will try the other one next time. Wow, I love waffles and I can't WAIT to try these. Thanks for putting in the leg-work! I just found your blog and can't wait to peruse some more! OK, I've now tried both of these recipes, side-by-side, since we did a family brunch on Saturday morning. I LOVED the morning-of waffles most until I tried the overnights. They win. The texture is just amazing, and my brother was impressed that they stayed crisp even with syrup on them. Delicious. Thank you for the fabulous recipes. We had two different waffle irons going too. I preferred the overnight recipe on the belgium-style iron (although it took nearly 3 times the batter), but it was delicious on both! We stole your idea and hosted a little waffle tasting of our own-so much fun! The Marion waffle was indeed quite spectacular. We have been looking for a waffle recipe as our stand by produce rather pathetic waffles. The yeasted waffles are it!! Thank you so much…or maybe not as we are now eating waffles at least once a week. I made them tonight for dinner and only let them sit for 2 hours and they still were delicious. I haven't tried the day of waffles yet, I am afraid they won't stand up to the yeasted version. I've only just started reading your blog, but I will certainly keep reading – thanks for the waffle recipes! I just tried a vegan version of the yeasty ones (with soy milk, margarine, and applesauce instead of eggs) and they came out amazingly! I'm so pleased to finally have a good recipe for my waffle iron =) thanks! What perfect timing! I was craving waffles, found a brand-new Belgian waffle maker at a yard sale for $5…and then your blog post appeared! I tried both recipes over the last few days and, while the WIG Waffles are great, Marion's win. Hands down. And, I have to say, I really didn't have much of a problem with my Belgian waffle maker – although that might have had something to do with my subbing in buttermilk and 2% for the whole milk, resulting in a thicker consistency than you described. What with Burg's French Toast (sworn convert to oil now! ), you really have transformed my mornings. I cannot wait to try this recipe. I tried a pancake recipe like this, with yeast and let it rise over night in the fridge. I absolutely love it. I used my Blendtec blender to mix the pancakes and think I will try the same for this waffle recipe. Of course I will use my large jar, so I don't have a mess in the fridge in the morning. It makes clean up so much easier! And does the job wonderfully. I think I will omit the oil and use apple sauce instead. I have had great luck with that substitute. I made the second recipe–“A Great Make-the-Morning-of Waffle”–for friends yesterday morning, and they were delicious. The light, airy texture and sweet flavor combined with the bubbly fizz of sparking wine were a winning combination. I also made a caramelized apple compote, which went along with the brunch beautifully (recipe is on my blog). Thanks for taking the hard work out of waffle recipe testing–now I have my family's recipe and this one to call favorites! Good golly Miss Molly! These are amazingingly delish. Wasn't sure they were going to turn out because my overnight batter did not double in size (I think I may have heated the milk too hot and could have possibly killed the yeast?) Anyway, I forged on and they were killer! Thanks so much! Wow! Posted a few days ago to say how much I love the yeast waffles. Now I'd like to report these waffles are just as fantastic after you cool and freeze them. Just pop them in the toaster oven for 3-4 minutes to warm and you have heavenly goodness a second time around! A while back, I bought a Hamilton Beach Waffle Stix maker at a second hand store. In perfect brand new shape. So this morning I tried the WIG waffles in it and wow, was it just perfect! You use 1/3 cup batter in each square and cook it for exactly six minutes. Thanks for the testing and making it easy to use this little machine! Okay, the Waffles of Insane Greatness have won a place in the permanent breakfast lineup rotation – with the following caveats – you have to double the recipe if you aren't feeding oompa loompas and I think adding 1 T of cornmeal to any waffle recipe is imperative! I'm happy to find a really good waffle where I don't have to do the egg whites separately (as I am extremely lazy) thanks! caSo, finally got around to trying both waffle recipes, and the winner is……. the Waffles of Insane Greatness! They were light and crispy but substantial, with an amazing flavour. I am indifferent to waffles, except the toaster kind, which I adore, but these…. these were awesome. The MC waffles were a bit bland, and dakey (one person's custard-y is another's dense!) We have a Belgian waffle maker too, but the batter will be adequately thick if you leave out the 1/2 c of water. Thanks so much for these recipes! We really love your blog- you have a wonderful attitude towards food, and the preparation and enjoyment of it. Made the WIG waffles this morning. Perfect! slightly crispy on the outside and great-tasting. My kids loved them. I seriously never knew why I had a waffle maker until this post… I'd never made good waffles before – but now, thanks to you posting these recipes, we have had waffles 2 weekends in a row! FANTASTIC! I made the morning of waffles both times and they were excellent and I do believe I'm hooked on waffles now… Thanks!! We get waffles cooked fresh on the street here in Bangkok for a paltry 40 cents 🙂 Sometimes I eat seven in a week – it's easy to see where my 10 kilo weight gain since I moved to Thailand has come from, LOL. I have been making the WIG for over a year, maybe two… they are perfect! I found the recipe on a Rachel Ray website or Food network website. I didn't know anyone else was making these! Awesome. Molly, you inspired me to make BOTH waffles recipes this weekend. Last weekend, I ran my second marathon and ALL I wanted to do this weekend was hole up and eat carbs. I made the WIG on Saturday, and the yeasted one on Sunday. Marion's was the winner. That buttery taste with the crisp crust. Yum. Here is my one dilemma this weekend. Both days the waffles were amazing right from the waffle maker, but then they get soft. How do you keep waffles warm without them losing their crispness? Keep them in the oven on low? The yeasted waffles were the best we've ever had, forever and ever, amen. Thank you for that recipe!! The interesting thing is, all I had on hand was some leftover instant yeast, so I used that and the waffles were insanely good – far better than the WIG ones (which had a nice texture but were far too sweet for our tastebuds. Also, our waffle iron is just a crummy old garage sale one with no bells & whistles. It's either on or it's off and that's that. The waffles were perfect after 4 minutes. Hi Molly, I have a question…. We just made the yeasted waffles and they were amazing, but since it's only two of us we have a enough batter for another batch. Do you think we can keep the batter in the fridge and use it again tomorrow? Anonymous, that is such a good question, and I'm glad you asked, because I should have mentioned this in my post: the batter will keep for several days in the fridge. So yes, you can use it again tomorrow. No problem! 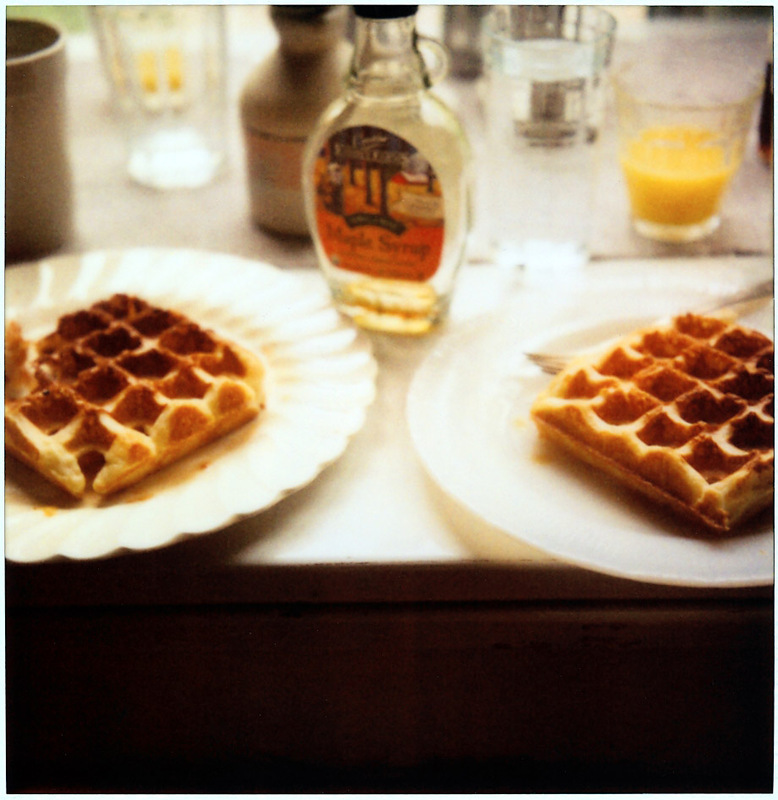 Somebody mentioned the Cook's Illustrated waffles (May/June 2010) made with seltzer–I was underwhelmed. Not really streamlined and they were WAY too salty at 3/4 teaspoon (maybe the seltzer contributed? ), so I know I'll be reducing the salt in these recipes too–I'm usually a salt monster, love salted caramel, etc., but I always halve the salt in any Marion Cunningham recipe. But two interesting factoids from Cook's Illustrated: oil makes for crispier waffles than butter; and resting the waffles for 10 minutes in a 250 degree oven makes them crispier. I have been trying to find a great yeast waffle recipe- I can't wait to try this! Thank you for posting this. I was in a pinch for a good waffle recipe and remembered you had narrowed it down to 2. I opted for the second choice for our last minute, easy Sunday night “breakfast for dinner” dinner. It was perfect AND easy. The recipes you find are always fabulous, so thanks for sharing! I've been craving waffles lately, but haven't broken down to buy a waffle maker yet, sigh. The make-the-morning-of recipe is now my standby go-to recipe for having people over. The things come out of the iron so light and fluffy, it's amazing! I went with 1C light buttermilk instead of the whole milk/buttermilk combo, and they taste fantastic! Thanks so much for sharing! Love this recipe, I use my sourdough starter in place of the packet yeast. I do add a bit more sugar to offset the sourness, and they are almost like a funnel cake. Sooo good. I just whipped together the batter for the yeasted waffles for tomorrow's Christmas breakfast and realized I added in the baking soda too early :/. I don't really expect any answers given it's the holiday but in case anyone does read this — will anything catastrophic happen if the baking soda is added to the yeasted mixture early? Hope these still turn out well tomorrow morning! Merry Christmas! I made these yeasted waffles before and had the same difficulty with the batter not quite filling my Belgian waffle maker. Yesterday I accidentally added all the ingredients, including eggs and soda. (Too much kitchen multi-tasking.) Since I put up the batter at 8am for the next day I covered the bowl snugly and let it proof over night in the fridge. Turned out to be a superior batch that filled my waffle maker for perfectly full waffles. Oh my! We just got through eating the yeasted waffles for breakfast. They are wonderful. Thank you. Loving this post! Loving this Blog. I just discovered your deliciously delightful site tonight. I'm a cook and a Vancouver resident heading to Seattle in about a month. 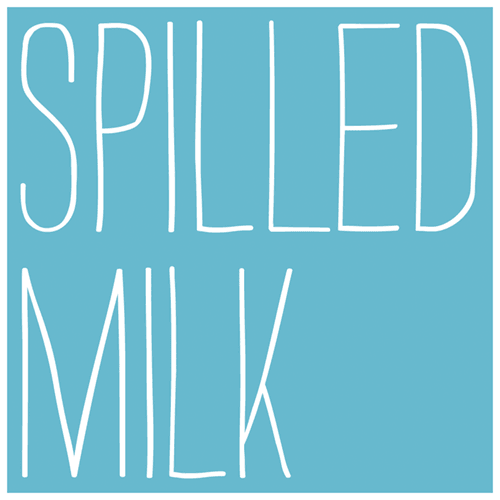 I can't wait to check out your dining selections and look forward to milling about this blog. If you're at all interested I've just started a little blog of my own. Am I allowed to say that? Molly, this yeasted waffle recipe has changed my life. I am not exaggerating! Thank you so much for what you do. You have wowed and surprised and delighted me with quite a few recipes, but the MC waffles take the cake. My search for light, crispy, non-soggy waffles is over. Never mind that they take 15 minutes to cook in my crappy waffle iron — they are more than worth the wait. Going to order the breakfast book pronto. Thank you, thank you, thank you! I've been making these for over a year now, and the only thing I will say is that to achieve the crispness you must have a very hot waffle iron as you pour the batter in. I lightly brush some oil onto the grill and close the lid and wait a little, lift the lid and if it is 'smoking' it is ready. And make sure you do not raise the lid too soon or the inside will be too creamy. 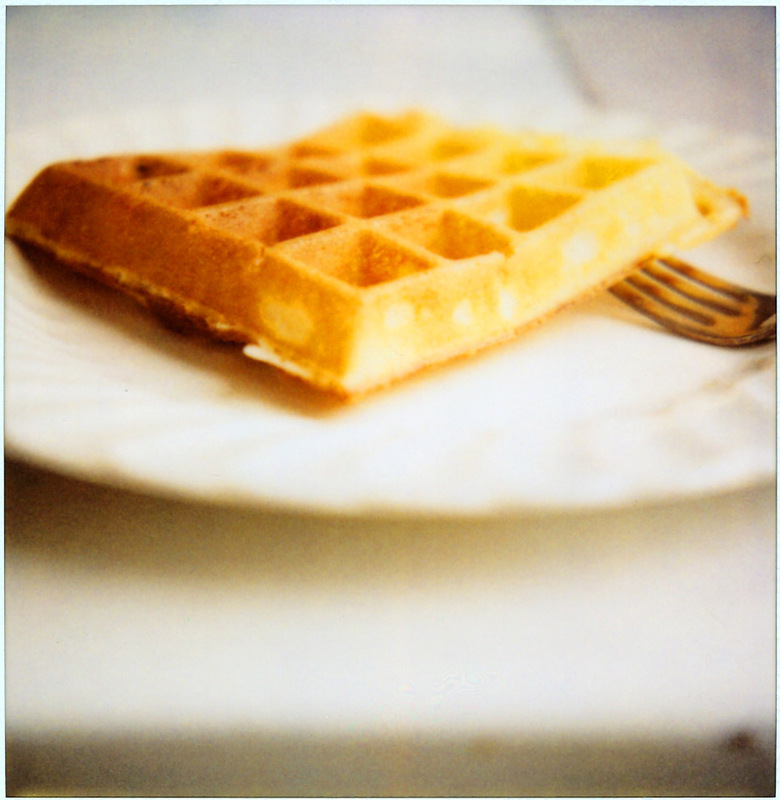 Touch the waffle – if it is too soft, or too light in colour, put the lid back on to brown some more. We have a really old General Electric Waffle Iron with a Low Medium and High setting, and I always go between Medium and High. These are the ONLY waffles we will eat! Loved the WIG waffle! I made them with a mixture of barley and whole wheat flour and they were fantastic. My husband ate every bite ohhing and ahhhing, then stole my last waffle! Thanks Molly! how long is too long to “overnight” the yeast batter? I am having people over for Sunday brunch but won't start making the waffles until 11am or so. The night before I have a party to attend so will need to mix up the batter around 5pm or so. too long? Sudha, I'm not sure how long is too long, and I'm not sure what to tell you! When I've made these, I've generally mixed up the batter just before bed, around 11 pm or so, and then eaten around 10 or 11 the next morning. Is there any way that you can make the batter when you get home from your party, just to be safe? It might be fine to mix at 5 pm, but I can't promise. I just found this by googling “yeasted waffles” since I want to try them. I know I can trust your review because my current go to waffle recipe is Waffles of Insane Greatness, initially tried for the same reason- the name. This is the perfect recipe for holiday mornings- make it the evening before and let it do its thing overnight and “voila!” It's been a Xmas day tradition in our house for close to 20 years now. I think raised waffles are more popular with our kids than presents! oh man. I bookmarked this when you first posted, and finally got around to trying the WIG recipe a week or so ago. I am honest to goodness obsessed and want to eat that crispy goodness every day. I wrote the recipe on an index card and it lives on my fridge (although I am close to memorizing it). SO GOOD. I can't even handle that the yeasted one might be better. Finally–FINALLY–made the yeasted waffles and LOVED them! Thanks again for doing all the hard work for me and finding two amazing waffle recipes. Thanks so much for your research and dedication for finding a fabulous waffle. I still need to try the yeasted version, but the WIG is definitely a keeper. Crusty on the outside, soft on the inside…yum. thanks for the wonderful recipes. I'm going to post the link to your blog on a page that I wrote for International Waffle Day. Okay, I know it doesn't sound possible, but the Waffle of Insane Greatness is even Insanely Greater with a cup of cream subbed for the milk/buttermilk. I just did it because it was the only dairy we had in the house, not because I am a glutton (although I am). But. BUT. They had this extra-shattery thing going on on the outside? And this buttery crumb all the way through? We could not get over it. I added a TBSP of lemon juice to the cream to maintain the acidity, and subbed in 1/4 of spelt flour, too. The batter was a bit thicker than usual. Maybe not an everyday version, but good for holiday mornings! I had the urge to whip up some waffles tonight and remembered I had these recipes tucked away in my bookmarks! I made up a batch of the WIG recipe even though I didn't have cornstarch or buttermilk (I just used an extra 1/4 cup flour and regular milk). I was also out of eggs so I used a few tablespoons of powdered flax seeds instead. They came out fantastic! The outside was nice and crunchy (though I'm excited to make them again with cornstarch to see how that impacts the crunch factor) and the inside was fluffy and tasty. I have the yeast recipe next on my list of waffles to try! I love waffles. I remember being a kid and my mom making them and going nuts whenever we had them for breakfast. Oh, how I love my Marion Cunningham Breakfast Book. So much win. I decided to make the raised waffles last night/this morning. I followed recipe exactly and they did not cook quite right. I wondered what I did wrong and then recalled this very old, yet relevant, post of yours. I think my issue was my waffle iron. I got one side cooked waffles. Now, the look was off but my family GOBBLED them up. My nearly 3yo stood on a chair at the counter and ate 3 right off the iron with no syrup or whipped cream. I will try them again on a more shallow waffle iron. I was just eyeing ( coveting) some brightly colored ones at Le Target. Thank you! Enjoy your peanut, it goes all too fast! I made the yeasted waffles and wow! they do have flavor! We loved them, my 13 month son could not get enough. I have a cheap, square waffle maker and they came out flat on one side, I think that maybe if I had one of those waffle irons that you turn as soon as you pour the batter, they would've come out better. They do taste savory, so I added roasted chiles and cheddar cheese to half the batch and they were dreamy! Next week I'll add corns starch to MS recipe and see how that works. I had the loveliest, transcendent waffle experience this morning! Had every intention of making the WIGs (ha) but I forgot the milk on the stove and it overheated and the yeast was killed.. bummer. But the buttermilk batter was an excellent substitute! Having both recipes for planning/ not planning was key, thank you for such thorough testing! I know this is an older post and not sure if you read comments on older posts, but I made the morning of waffles last weekend and we just loved them. The best I have had. I am curious though…it calls for quite a bit of oil. They are very crispy and light. I am wondering if you ever reduced the oil to try to make them a little lower in fat (we are inhaling them!). I am going to try to make a triple batch this weekend as they freeze and reheat perfectly, but do not want to mess with perfection. What do you think about reducing the oil and if so, how much? Thanks so much Molly. 2) how long will the non-yeast batter last in the fridge. I saw you mention in comments that the yeast batter will last a few days, but what about the other one? Just curious. The day before I mixed the wet ingredients and refrigerated it overnight. The next morning added all the dry ingredients and let it sit out for about an hour. Just an easy way to save some time. Thank you so much for doing this test. Though it was years ago! I tried and failed with the yeast waffles, due to a horrible cheap waffle iron I promptly returned. I greatly succeeded with the WIG waffles, taking your criticisms of that recipe into consideration I opted to try half whole wheat flour as I thought this might add depth of flavor. Perhaps I will feel differently after successfully making the yeast waffles, but the WIG’s with my flour adjustment were delightful! My only complaint is there weren’t very many, my 5 year old ate most of them and I had to scour for a recipe that didn’t need buttermilk… I wasn’t nearly as pleased with my second choice and it was much more laborious. Next time, I’ll be sure to double the WIG recipe. Thanks again!